Massively imposing, extremely luxurious and technically proficient 4x4. As expensive as you'd expect. 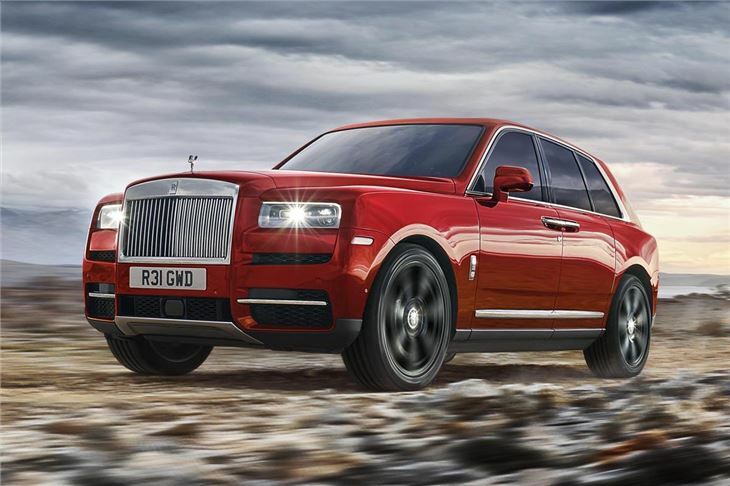 Massive, enormously imposing Rolls Royce 4x4 'Sport Utility Vehicle' that appears designed specifically to steal the thunder of the Bentley Bentayga among Middle Eastern Royalty and the otherwise obscenly rich. 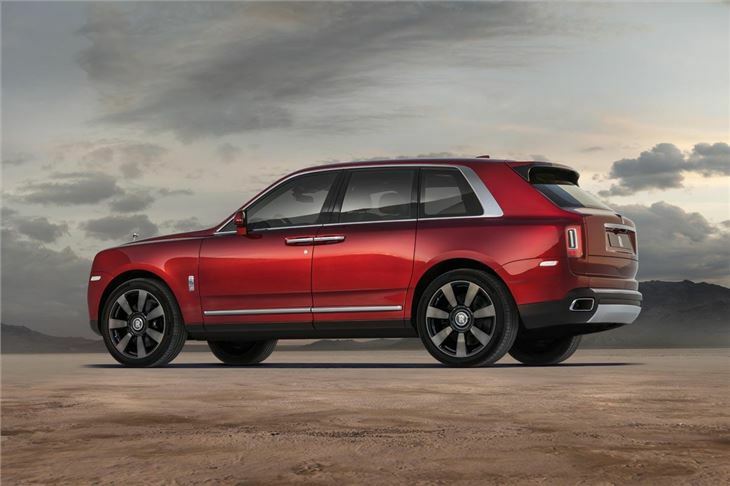 "When Rolls-Royce announced in 2015 that it would launch Cullinan, it did so in the knowledge that its customers around the world had asked it to build “The Rolls-Royce of SUVs”, with luxury, performance and usability not seen before in the SUV market. Many of these customers were younger, very successful high-net-worth individuals who are heavily engaged in the experience economy, and wanted a Rolls-Royce that would take them to the ends of the Earth in ultimate luxury." It is named after the largest diamond ever discovered which now resides in the British Crown Jewels, not after the man who assasinated Gianni Versace. BMW goes as far as to assert, "Cullinan is the most technologically advanced, and only purpose-built, luxury SUV in the world."